//this line will create the table if it doesn't exist. If it already exists a database error is thrown that is ignored. //this line will create the states table. Since the QuickConnectiPhone framework supplies you with a client side session object you can just as easily store your applications current state assuming you have kept the client side session object up to date by modifying it every time the application state changed. At startup of the application or at any time you choose you can easily retrieve the state data to reset the application’s current state to the stored state. Notice that there is no return value from the getData method. That is because all calls to the underlying SQLite database are asynchronous. The QuickConnectiPhone framework will pass the data that is the result of the query to any View Control Function you have defined where you can use the JSON library to de-serialize the stored session and use it. See the previous post on the QuickConnectiPhone framework for more information. If you wish to see the source code for the PhoneDataAccessObject download the QuickConnectiPhone framework and open the PhoneDataAccessObject.js file. Download it here..
You can now store the current state of you application on exiting and restore it when the application is started up again. This will allow you to use the links that start the Calendar, Contacts, music, videos, etc. When such a link is selected you app is exited and the other one started. You then exit that app and start yours again. Prior to this database fix your application could not restore its’ state at startup. The source code for the library that does this is to large to place here as an example but a followup posting will include an example of how to easily access and use the database functionality built into WebKit. If you go to the QuickConnectiPhone download you can get an Xcode and Dashcode project that includes sample code. They show how to interact with the database easily without knowing the unique requirements of SQLite. for an explanation of these projects and what the QuickConnectiPhone framework is see my previous post. Having seen the interest in the UIWebView post I made a while back, a followup posting on the framework that includes the class discussed in that posting seems to be needed. I created this framework so that you don’t have to reinvent the wheel when you start creating iPhone hybrid applications. An Objective-C version of this framework is also in the works. I look forward to receiving feedback from you. A new version of QuickConnectiPhone is now available. To see the new functionality that is in the current shipping versions look here. For a QuickStart on how to use QuickConnect look here. This posting is just a brief overview of the framework to give you an idea of how you can use it. The download of the framework, select the iPhone download out of the family, includes a simple example application. The framework is open source and is licensed under lgpl so you can use it in your free application or one you decide to charge for. The QuickConnect iPhone framework is designed to make iPHone hybrid applications easy to create and yet use as little processing power and memory as possible. The framework is distributed as Xcode and Dashcode projects that you can drop into each of those applications. When you do they become available in the gallery of project types. These two new project types allow you to create and test your application from within Dashcode and then move it into Xcode, compile it, run it, and install it directly onto your device. No internet connection is then required to use your application. If you choose to retrieve remote data from a web server the QuickConnect iPhone framework supplies you with a Server Access Object (SAO). This SAO behaves like the DAO but wraps AJAX calls instead of database calls. You use it the same way as the DAO. It has a getData function that uses a GET type of request and a setData that is a POST type of request. Since your application is running as a hybrid application you can use the SAO to make calls to any number of servers in any number of locations in your application. This is different than if you were making an AJAX call from within a browser. In that case you can only request data from the server that the current page originated from. Since you can now request data from any server you wish you will need to make sure the data you received is secure. The framework supplies you with security functions to make this easy for you. Validation Control Functions (ValCF’s) – You use these to validate user input. You can have zero, one or more ValCF’s for each user interaction with your application. Business Control Functions(BCF’s) – This is where you make a call the Data Access Objects’ (DAO) methods to query or modify the database. There is one of these per user interaction. 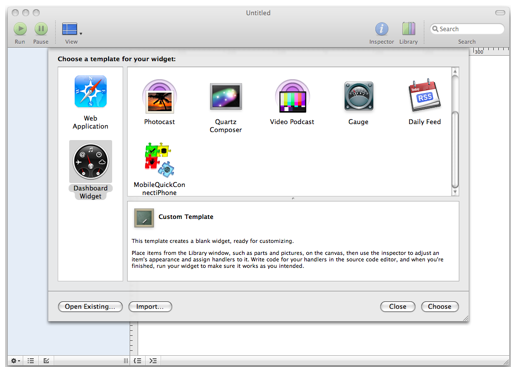 View Control Functions (VCF’s) – These are where the screen is updated for the user and other ‘view’ type functionality is defined. For example you may want to update some number of global variables or the client-side Session object supplied by the framework. You can have one or more VCF’s per user interaction. Error Control Functions(ECF’s) – Zero, one, or more of these functions can be applied to a command. This is where error handling is done. These errors may be due to user interaction or, if you choose to retrieve data from a web server, from a web server. Security Control Functions(SCF’s) – Zero, one, or more of these functions can be applied to a request to a web server to ensure that the data received has not been interfered with via something like a man-in-the-middle attack. The example application doesn’t access a remote server so there are none created or mapped. The framework uses a Command/Behavior paradigm. This allows you to create each of these type of functions in the provided functions.js file, or any other file you wish, and then place a call to the mapping function that will map your command to the control function. Below are the example mappings and control functions from the example application included in the QuickConnect iPhone download. This is just a partial example. To see the full example please download the framework. * This file is organized by the command being handled. * if a name was just inserted into the database. * stored value could be found. To see the full example and how the framework is embedded in an Objective-C application and what the other parts of the framework are please download the framework. As mentioned in a previous post, Erlang appears to handle very large integers whose limit is RAM and other hardware limitations of the machine. In fact I have calculated 50,000! several times on my machine. Multiplication, subtraction, and addition all work with these numbers without any programmer interference in Erlang. Division and other functionality uses the underlying OS functionality and so do not work with these large numbers. I have written some code that allows division to work with these large numbers as well as a few other items such as m_choose_n, factorial, and floor. I have not spent time to evaluate speed optimizations for the code other than to use bit shifting to handle the actual division. The code below is part of my simulation engine written in Erlang and is used in conjunction with the sim_dist library that contains random number distribution streams such as normal, binomial, negative binomial, and other types of streams the code for which will become available on sourceforge when I have finished testing it. %% This file is part of erl_sim. %% (at your option) any later version. %% GNU Lesser General Public License for more details. %% along with QuickConnectiPhoneHybrid. If not, see http://www.gnu.org/licenses/. fact_helper(N - 1, Product * N). The information in this posting is old and has been superseded by the information in a new post. The information and source code covered in this posting has been expanded on and is included in a downloadable framework called QuickConnectiPhone. Take a look at this posting about version 1.5 to learn more more. It appears that a great need exists for a straight forward example of how to use the UIWebView class. The purpose of this example is to show how to use it from within a class that can be initialized by an application delegate class. I have included both the header and source file code so that you can see how this can be done. The complete source for these files as well as additional code and helps can be found at the QuickConnect site. Go to the downloads section and grab the QuickConnectiPhone framework. To see a quick discription of the QuickConnectiPhone framework see this post. along with QuickConnectiPhoneHybrid. If not, see . //load the index.html file into the web view. // Return YES for supported orientations. [super didReceiveMemoryWarning]; // Releases the view if it doesn’t have a superview. // Release anything that’s not essential, such as cached data. The debugging process for the erlang distribution code continues. While debugging the binomial distribution last night I wrote a naive factorial calculator the code for which is common. Out of curiosity I started plugging in large numbers. The largest I have tried is 50,000! It took about 1.5 seconds to calculate and the result is much to large to post here. In fact, I was going to post it here but the number is too large to fit in the clipboard on my machine. Even if the sequence of digits was divided into 6 segments the segments still don’t fit in the clipboard. This seems to indicate that for integer addition, subtraction, and multiplication the upper numerical bound is limited only by your hardware. Division is different. It appears to use standard floating point type algorithms. Floating point numbers appear to have a limit similar to other languages and causes an error if the numbers are too large. throws a bad argument exception for the division operator. Floating point numbers therefor must have a maximum size that is less than 199! I connected my iPhone up to my works’ exchange server today. My iPhone is running the version 2 beta 5 OS. It connected right up without a problem. Best of all, when I started looking at my email I could view Word and Excel files directly within the mail application. I tried both 2003 and 2007 formats and both worked really well. I am very pleased. Now if the client would insert meetings into my Calendar when the meeting file is selected just like mail does on my mac it would be super. The Erlang simulation engine, which I now call erlSim, is running. I have some test results that show the concurrency capabilities of the Erlang language and the erlSim simulator. This information indicates that as the number of concurrent processes increases there is not a significant increase in the speed each process requires. This is looking very promising as a basis for discreet event simulations. I am working on a series of random number streams (triangular, normal, beta, etc.) to go with this basic engine. It is nearing completion for eight different random number stream types. QuickConnectPHP is a modular framework for the server side of PHP applications. It can be downloaded from QuickConnectPHP on sourceforge. The idea behind it, as with most frameworks, is to make it easy for developers to create applications that are scalable, flexible, and secure. Currently I am working on a database access object to include in the frame work that interacts with Oracle. The existing database access object works with MySQL. Both of these classes have a straight forward API that hides much of the complexity of interacting with a database. The main methods are getData for doing queries and setData for all other calls. Prepared statements are handled as well as BLOBs, CLOBS, transactions, and stored procedures. When the DAO is used to interact with a database it stores and makes available such information as error codes and messages, the id of any new records inserted into tables that use auto-incrementing keys, the field names retrieved in select statemets, etc. If the getData method is used the result of the query is returned to the programmer making the call as a standard PHP 2D array. The Oracle version is now moving into the testing phase. The getData and setData methods allow the programmer to follow a prepared statement pattern that uses a ? as the place holder in the SQL. They then replace these question marks with bindings to variables. This frees the programmer from needing to know how to interact with OCI8 and doing variable bindings. I hope to have this Oracle version in a beta state soon so a working version can replace the place holder in the QuickConnectPHP package available from sourceForge. Erlang is an interesting language. It appears to be hugely concurrent without threads in the language. It has its’ own strangeness such as the lack of variables, loops, etc. but overall very interesting. I have created a modular discreet event simulation engine that takes advantage of the languages possibilities. It has allowed me to make full use of both cores on my machine and have thousands of concurrent simulation events executing. I have not noticed much of a per event execution penalty either. Very interesting. I am looking forward to creating a factory scheduling simulation package based on this work.